Providing you the best range of solvent orange dyes with effective & timely delivery. Finding use in multiple application areas like in chemical tinting, plastics, inks, waxes, Solvent Orange Dyes offered is also suitable for dyeing of leather, paint, paper and can be procured from us in minimum order quantity of 100 Kilogram. Solvent dyes are also soluble in organic solvents and find use in coloring of lubricants, plastics, hydrocarbon fuels, waxes as well as other hydrocarbon-based materials. 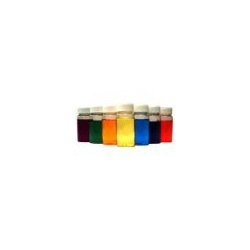 Other than this, the dye is also suitable for marking inks, glass coloration and many other applications.